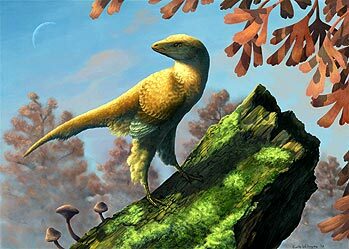 Artist impression of an Eosinopteryx brevipenna and a Ginkgo apodes tree. This dinosaur lived in China during the late Jurassic Period, about 161–145 million years ago. More Ginkgo info on my Fossils-page. November 2012: Performance of the traditional "Salpuri" dance, fall concert to honor the changing of the leaves of a 500-year-old Ginkgo tree at Gyeongju Cultural Center (Gyeongju in South Korea). The concert is a mixture of a cultural performance and a religious ritual to honor the spirit of the tree. The trunk is wrapped in ribbons and an altar is placed before it with incense and food. Offerings are placed at the foot of the tree. This Ginkgo is monument no. 66 and is registered as Geongsangbuk-do. See photos and read more on this website. Video of this ceremony in 2011 on my blog: click here. Question by Vladimir Brunton, Praha, Czech rep.
Dessert "Ginkgo Poetry Rites" or Steamed snow pear, stuffed with ginkgo nuts and dates in syrop. 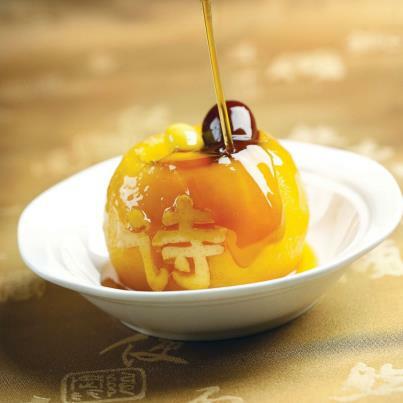 The dishes served to royalty during the days of Confucius are revived in Shangri-La Hotel in Qufu. Qufu, located in south-west of Shandong Province in mainland China, is the birthplace of the famous Chinese philosopher and the dishes are based on the food prepared by cooks at the Confucius Mansion to entertain emperors and royalty. 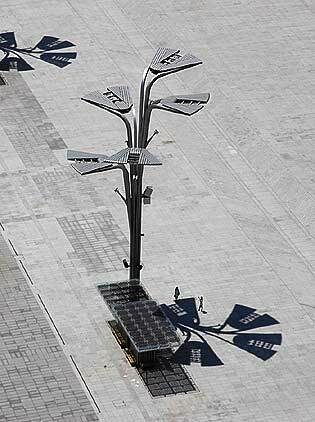 Symbol of information transfer is the Olympic Information Tree in Beijing: a lantern on solar energy with ginkgo leaf design. 29 Information Trees stand between the Bird's Nest and Water Cube. More info on this website. 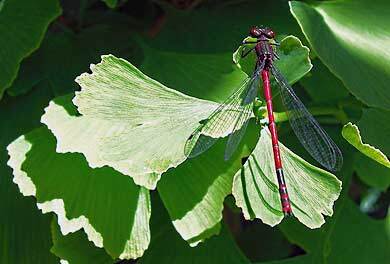 Beautiful photo of a dragonfly on Ginkgo leaf. Enlargement click here. "To commemorate the second anniversary of March 11, 2011 catastrophoc earthquake, tsunami and Fukushima nuclear accident , and in solidarity with the people of Japan, during this event, Ginkgo seeds which are sent to the museum from Japan’s “Green Legacy Hiroshima” project, as the messengers of life, hope, peace and friendship, will be planted along with a number of olive trees as symbols of peace and hope." 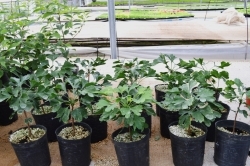 Read more about Ginkgo seeds and the “Seeds of Peace” Project on the website of Unitar.org/Green Legacy Hiroshima. More about the Ginkgo and Hiroshima on my website. 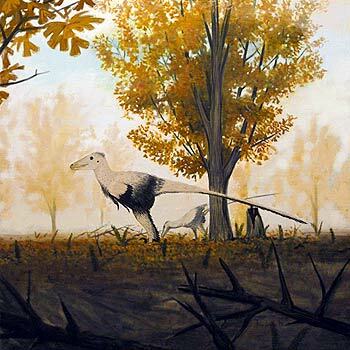 Artist impression of a pair of Deinonychus antirrhopus under a Ginkgo tree. These dinosaurs, which could grow up to 3.4 meters (11 ft) long, lived during the early Cretaceous Period, about 115–108 million years ago. * Article added on my Fossils-page: - Chung-Shien Wu, et al. Chloroplast Phylogenomics Indicates that Ginkgo biloba Is Sister to Cycads. * Added on my Literature-page: "Evidence and Rational Based Research on Chinese Drugs" by Hildebert Wagner, Gudrun Ulrich-Merzenic + "Ginkgo: The Tree That Time Forgot" by Peter Crane. Video I made of a huge male Ginkgo, 30 m, girth 4.88 m, c. 1856.